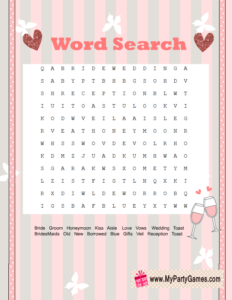 On this page you will find this Free Printable Wedding Word Search Game with wedding related words. 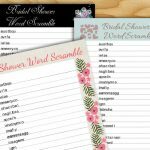 You can play this game on bridal shower party or hen’s party. This game is suitable for all age groups. 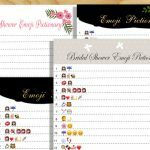 I have made beautiful printables for this game in 4 different designs and colors. You can print the game that you like most. 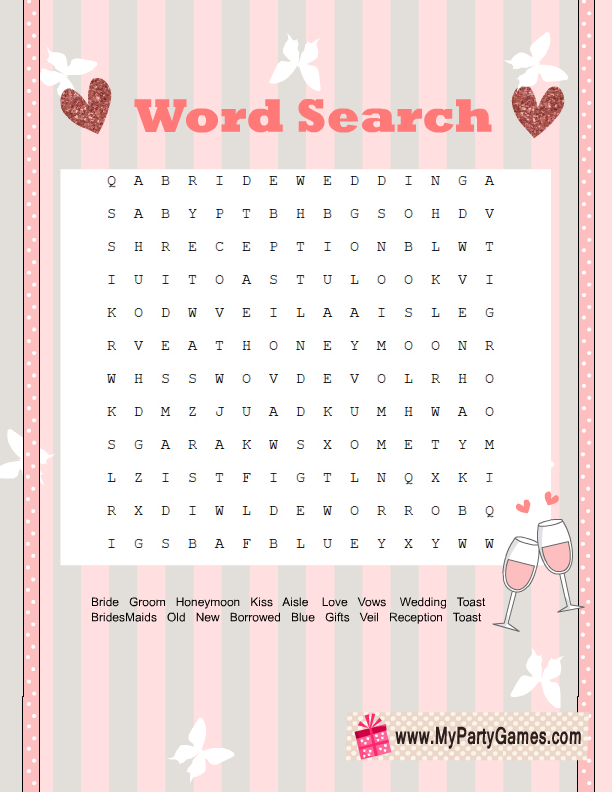 I have also made a free printable solution for this game so you can check the answers of your guests. 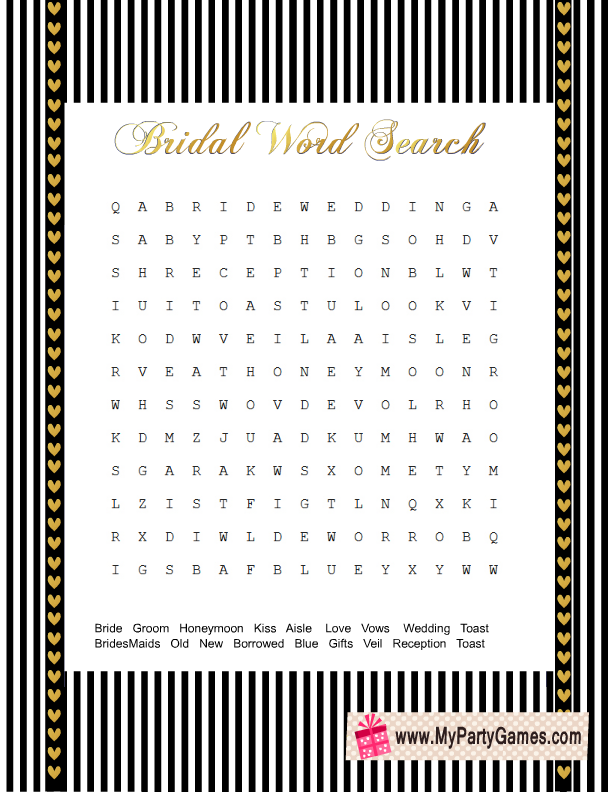 Print and distribute the word search cards among your bridal shower party guests along with a pen or pencil. 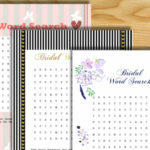 Ask them to search all wedding related words within five minutes. The guest who finds most words within five minutes will be the winner. Click here to download the solution for this game. 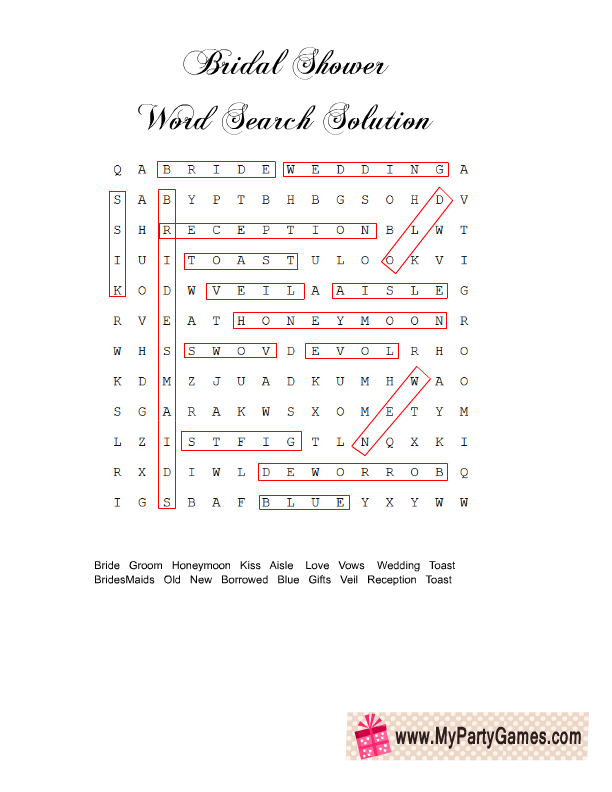 You will need only one copy of this word search game solution. 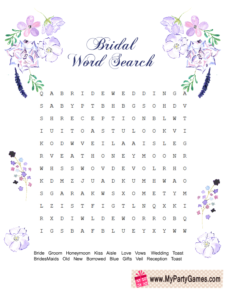 This is my personal favorite and very beautiful free printable image for this wedding word search game. 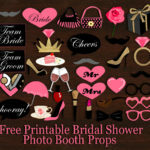 I usually make my own original graphics but in this game I have used a floral freebie from TheSmellofRoses. All my games are free only for personal use and you are not allowed to share any of my images on your websites. 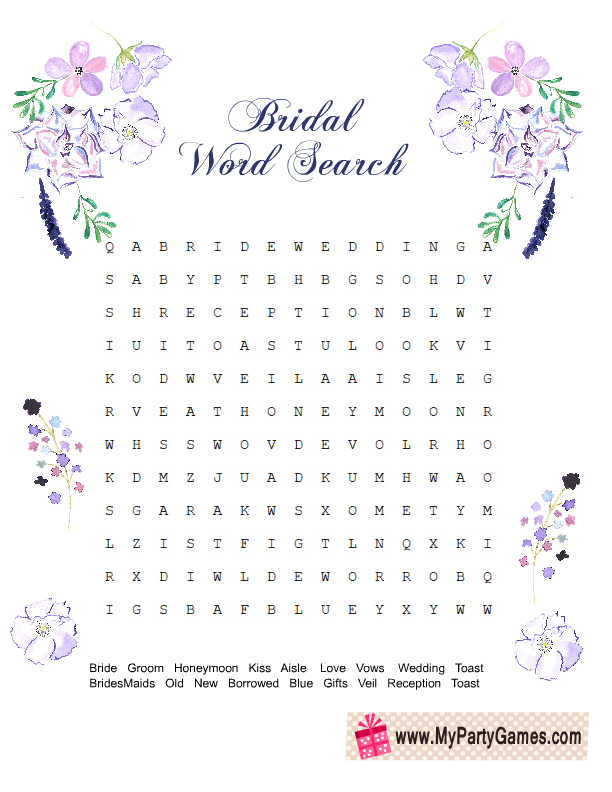 This is another adorable free printable for this wedding shower or bridal shower word search game. 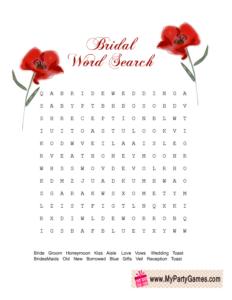 It is decorated with images of beautiful poppy flowers. 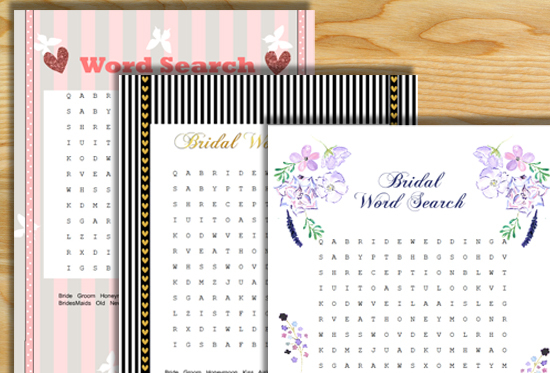 This floral game printable would be loved by everyone. 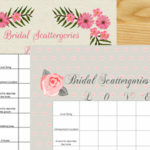 This is another very beautiful design for this free printable game. 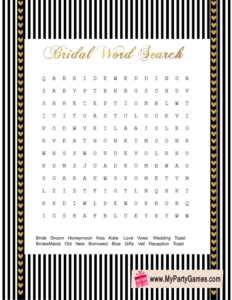 You can print this game card if it matches the theme of your bridal shower party. Just click on the thumbnail image of the game and bigger image will open up. Right click and save that image. This is another very elegant design for this game with black and white stripes and gold lettering. 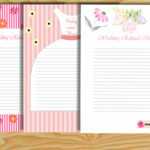 Beautiful golden hearts add charm to this design. 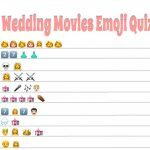 Please leave a comment below with your suggestions and feedback. 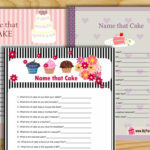 ← Who got the Cake?